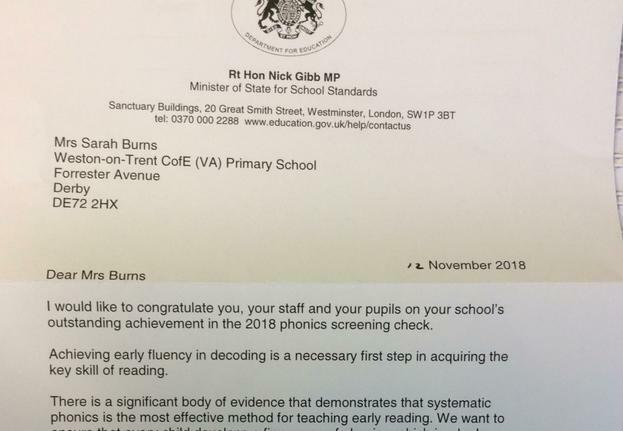 We have received a letter of congratulations from the Minister of State for School Standards to congratulate us on our fantastic phonics outcomes for Year 1 last summer! We were one of the top 9% of UK schools. Really well done to all concerned!